Learning a new language can be very fun and rewarding. With the right tools and the right resources, you set yourself for success right away! 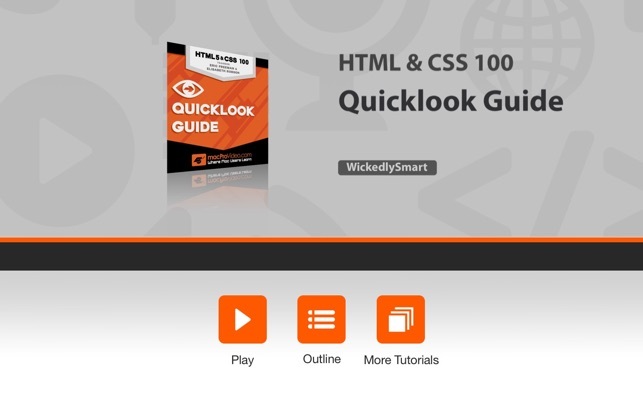 This is exactly what Elisabeth Robson and Eric Freeman give you in this HTML5 & CSS QuickLook Guide. Armed with your favorite text editor and a keyboard, watch and learn as our web design experts teach you, step by step, the language of the web. 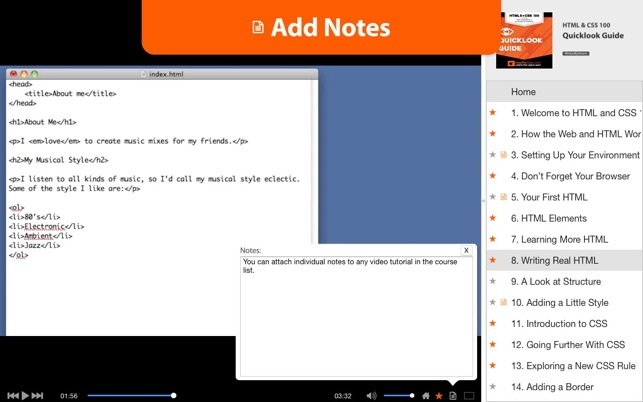 You'll quickly become familiar with its unique terminology and "grammar". 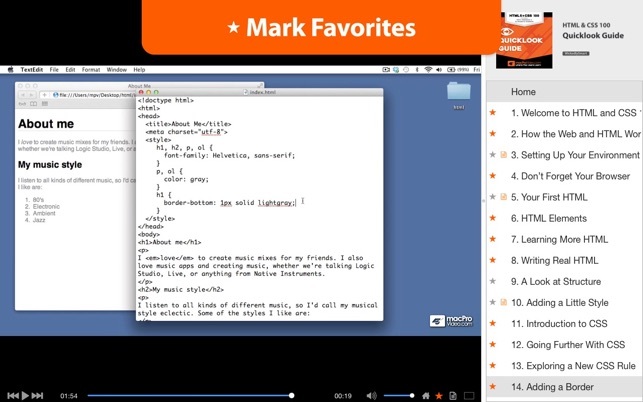 You see, web browsers speak fluent HTML & CSS, and so will you after watching this tutorial! not work in the new verision please fix! The material is extremely well thought out and presented logically. 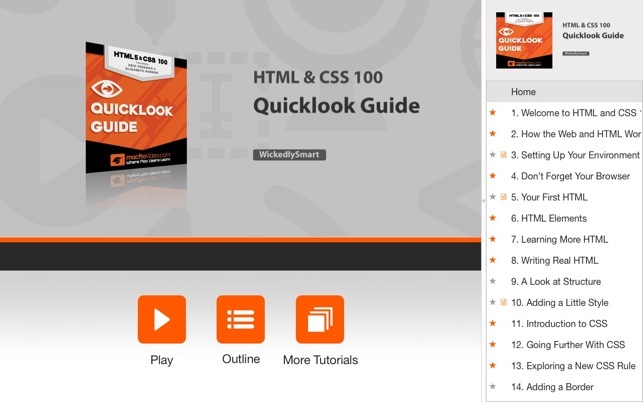 Provides an excellent basic understanding of both html and CSS. It made me feel kinda stupid that I didn't understand it before, it was so simple. One of the best beginner introductions for programming I have seen. Lost the 5th star for two reasons: Crashed four times during playback and they did not show me where to find the next in the series where I can buy the follow up training videos. Minor glitches aside, this is well worth the few minutes it took to watch each video. Wanted to say thanks for creating this application. You guys have made a great introduction into coding. I'm finding it very well done and I'm learning a lot. 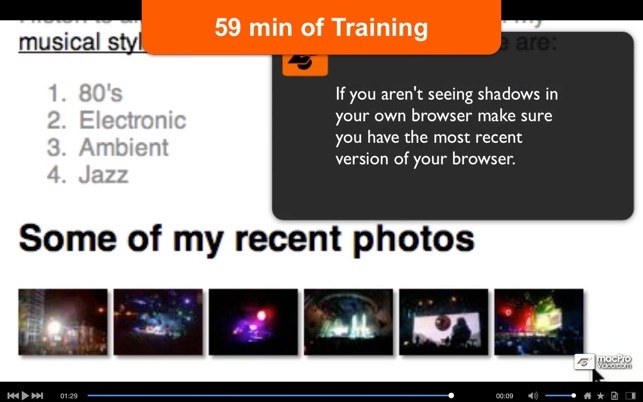 Thanks for making it free also :) One small hiccup is after some of the videos it unexpectingly close down the app. Not sure why. But overall this is a five star app! !